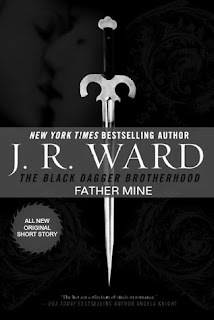 Readers met and fell in love with Zsadist and Bella in J. R. Ward-s third New York Times bestselling novel in the Black Dagger Brotherhood series, Lover Awakened. As a former blood slave, Zsadist bore the scars from a past filled with suffering and degradation until Bella came along and helped heal his emotional wounds. Now, though, with the birth of their child, the demons of his past have been resurrected, called forth by the innocent eyes of his beloved daughter, Nalla. Unless Bella and Nalla can bring him back with their love, he may be lost to them forever. In this novella we follow the couple's travails as a new couple and parents to their adorable baby, Nalla. The story opens with Z and Doc Jane, the latter under the guise of catching up when in fact she's concerned about Z and Bella's welfare, aware that the couple is going through some rough patches. Apparently our beloved scarred warrior is having a hard time grappling fatherhood. His past is still after him and continues to threaten his relationship not just with Bella but with Nalla as well. Since Bella gave birth Z still haven't officially met their daughter. In his mind he still feels unworthy of them, thinking how he'll explain to Nalla his tats, imagining her coming out party and their father and daughter dance, his slave marks marring his handsome profile. Bella on her part thinks that Z doesn't find her attractive anymore and can't put her finger on what's bothering him. She misses him and his touch but she's aware that things have changed and her priority is Nalla. So she calls Rehv and tells him that she's leaving Z. Although Rhev is reluctant and doesn't want to meddle with their affairs, his loyalty is still to his sister and lends her one of his houses. Meanwhile Z is out hunting lessers when he got injured and almost died when he realized that he has a lot of things to live for, Bella and Nalla's images playing a nice slideshow in his head. He decided to text Bella and tell her I'M SO SORRY. I LOVE YOU. PLEASE FORGIVE ME-CAN'T LIVE WITHOUT YOU. Bella unaware of the situation texted him back saying I'M SORRY. I LOVE YOU, BUT SHE AND I HAVE TO GO. I'LL GIVE YOU THE ADDRESS WHEN WE'RE SETTLED IN TONIGHT. Now we all know how deep the bond between a hellren and a shellan is so imagine Zsadist's heart breaking when he got this message. His physical pain pales in comparison to going home in an empty flat. Good thing Mary was around to update Bella. Sure enough Bella stayed and waited for her man. This part confirmed that Wrath is indeed swoon worthy, he stayed with Bella while waiting for Zsadist to come in and gave her comfort. Seriously, J.R. Ward did well in creating Wrath, that man is noble to the last cell of his body. Beth is another lucky lady landing that man of worth! So finally Z was wheeled in that's when the waterworks starts. Zsadist, under the influence of painkillers, heartache and Bella and Nalla's desertion looming over his head, started talking about Bella's birth. Here we see how much Zsadist truly loves Bella and for such a strong and fierce warrior he was at a loss on how to ease Bella's pain. The contrast of strength and helplessness was so beautifully written. I was getting misty eyed on this part because I was so touched by Z, it's almost impossible for me to picture him as this crazy looking, humongous guy that exudes nothing but death. He's all mushy as a marshmallow when it comes to Bella. If only I could reach out through the page and hug him I would. So the walls broke down and they started conversating about their marital woes. Eventually they kissed and made up. With Doc Jane's help they decided to check if Zsadist's slave marks can be lasered off. Unfortunately it didn't work and left Z disappointed. But it wasn't all bad, this helped the couple exorcise their demons from Bella's abduction and Zsadist finally decided to meet Nalla. Oh my god! When Nalla held her daddy's finger and tugged at it was really magical. I can feel Zsadist's awe and pride in his daughter. This prodded Z to reach out to Mary again and worked with her, anticipating the time when Nalla will ask him about his scars, tattoos and past. With Mary's help and Bella's encouragement, Zsadist slowly worked out his issues, practice his responses until the day when Nalla is old enough to understand her father's past. The story speaks for itself. Zsadist and Bella's love story is nothing short of magical. A love so pure and true only the two of them understand the extent of their devotion to each other and we are lucky to be witnesses to this unforgettable and extraordinary couple. Who would've thought Vampires have messed up problems like us humans right? This is a good filler story for the series and a must-read for those of you following the Brothers. In behalf of your fans, we'd like to thank the Scribe Virgin herself, J.R. Ward, for indulging your fans and writing more about Zsadist. I LOVE ZSADIST! Dark past and scars….I will take it all. Ugh! His story totally pulled on all my heart strings and he'll always have a special place in my heart out of all the brothers. I loved damaged goods and Bella is one lucky girl. In my opinion at least. This little novella was so good. Wishing that Ward would write a few more. Imagine being the boyfriend Bella brings home to meet Daddy. Not just Zsadist BUT all the brothers. That's a heart attack about to happen.